Diabetes research is one key to the future for all people with diabetes. Scientists around the world are conducting diabetes research across a phenomenal variety of fields. This research includes trying to find a cure for diabetes, improving diabetes medication and diagnostics, and making the day to day life of people with diabetes easier to lead. Diabetes research takes many forms throughout the world. Assess whether treatments are more effective than existing treatments. type 1 and type 2 diabetes have proved elusive. Ensure high quality clinical research. Vaccines are still in the research phase. Diabetes drugs can take up to 10 years to reach the public. Is in progress for the treatment of diabetes. Uncovering new understandings about diabetes. There are numerous diabetes research institutions and foundations. In the UK, diabetes research is funded by charitable organisations such as the Juvenile Diabetes Research Foundation and the charity Diabetes UK. Private sector companies also take a strong role in financing diabetes experts to carry out pioneering research to improve diabetes care. 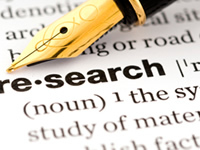 The latest diabetes research is published in diabetes journals such as Diabetes Care. Diabetes research is a global task. With diabetes increasingly affecting every country in the world, diabetes researchers from across the planet are working towards thousands of different research goals. Research into diabetes is going on day in day out in various locations worldwide. Medical research studies often take years to complete so research into diabetes can be a slow process. If you’ve been keeping a close eye on diabetes news, you may know that a number of cures have been found for rodents. However, what works in one species doesn’t necessarily work in another, such as with humans. One of the difficulties is that human trials are very expensive, costing millions of pounds. The cost means that only a relatively small number of trials for cures are being run each year. Each trial brings a little more understanding but, as the trials can take years to complete, the progress is currently slow. Large research trials are expensive and often it is only pharmaceutical companies that can afford to fund the trials. When funding research, pharmaceutical companies are essentially taking a bet that they will have a marketable product as a result. Charities fund research too but tend to focus on a variety of different start up studies. The idea of funding start up trials is to help find promising research leads that can help us to understand the body and give a springboard for later more in depth studies. Some of the headline research successes in the last few years have been the introduction of injectable treatments for type 2 diabetes and transplantation success for type 1 diabetes. The injectable medications Byetta and Victoza are now relatively commonly prescribed and have seen success in improving blood glucose control. In Russia, transplants of insulin producing cells from pigs saw success in humans and the further transplants have been approved in Russia. Type 2 diabetes is a hot area of research and a number of new treatments are currently being researched. For type 1 diabetes, the quest for an artificial pancreas, in other words a self-functioning insulin pump, has been undergoing a number of different trials to test for safety and effectiveness. It is in this way that major breakthroughs are made, and the future of diabetes care comes one step closer. Please use the links below to visit some diabetes research portals. If you would like your organisation to be added to this list, please contact us. Read more about diabetes research directly at the charity and institutes below.